Fortitude is a place like nowhere else on Earth: a frontier boomtown in the wild and savage landscape of the far north. Sheriff Dan Anderssen leads a world-class search-and-rescue team but now finds himself investigating the shocking murder of a prominent member of the community. What’s more, he’s forced to work alongside DCI Eugene Morton, a British murder detective who’s just flown in. As they search for the killer, each of these cops.. 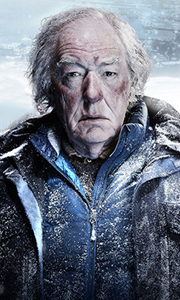 Season 1: Fortitude is a place like nowhere else on Earth: a frontier boomtown in the wild and savage landscape of the far north. Sheriff Dan Anderssen leads a world-class search-and-rescue team, but now finds himself investigating the shocking murder of a prominent member of the community. What’s more, he’s forced to work alongside DCI Eugene Morton, a British murder detective who’s just flown in. As they search for the killer, each of..
Own Fortitude Seasons 1 to 2 DVD from Deff, DVD, Blu-Ray & 4K Video Specialists - Free UK Delivery..